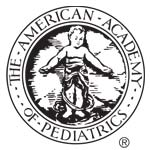 American Academy of Pediatrics was founded in 1930 by 35 pediatricians. It is headquartered in Elk Grove Village IL. It has employee strength of 390. It conducts continuous medical education programs meant for pediatricians and subspecialists. The total number of members is 60000 including pediatricians and subspecialists. The academy has 14 departments distributed into further 26 divisions. Its education program includes an e-magazine named "healthy children". The "AAP News" is its official news magazine. It has a flagship journal named Pediatrics. It has the largest pediatric publishing program in the world. It produces more than 300 titles for consumers and more than 500 titles for health care professionals. There are currently 0 consumer reviews about American Academy Of Pediatrics available. Share your review. Please take a note that you are about to post a public review about American Academy Of Pediatrics corporate office on CorporateOffice.com. This review will be public, so please do not post any of your personal information on this website. If you would like to contact the corporate offices of American Academy Of Pediatrics, please use their contact information such as their phone number, website, and address listed above to contact them. However, sometimes staff from American Academy Of Pediatrics headquarters do read the reviews on this website.